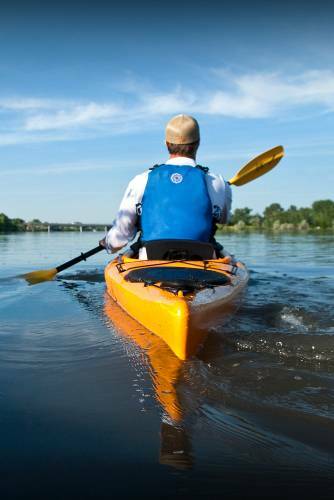 The Missouri River and the Sun River offer boating enthusiasts or beginners an opportunity to experience a great outdoor adventure minutes from their hotel room. For a more extensive trip, the Upper Missouri National Wild and Scenic River from Fort Benton to Kipp Recreation Area (over 149 miles, divided into three sections) gives an incredible journey into an unspoiled land. Outfitters are available to help guide you on a trip.